We specialize in all concrete work! 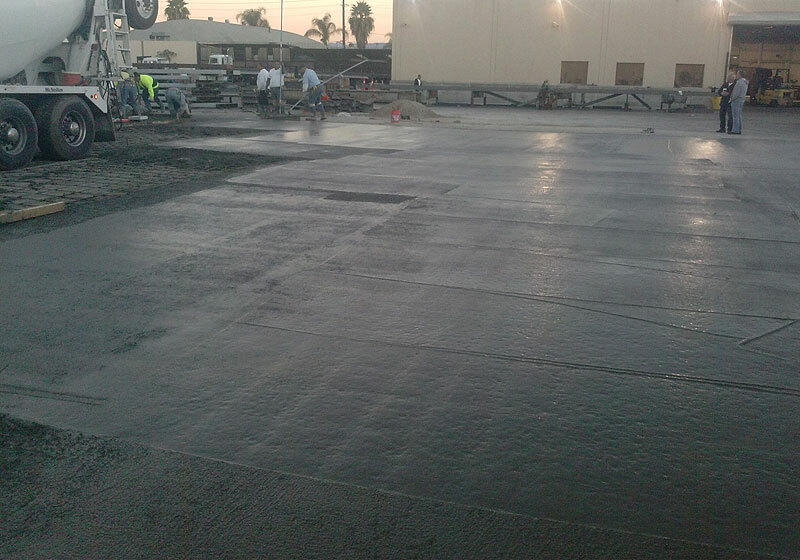 JNS Concrete completed this concrete overlay in Anaheim, CA. 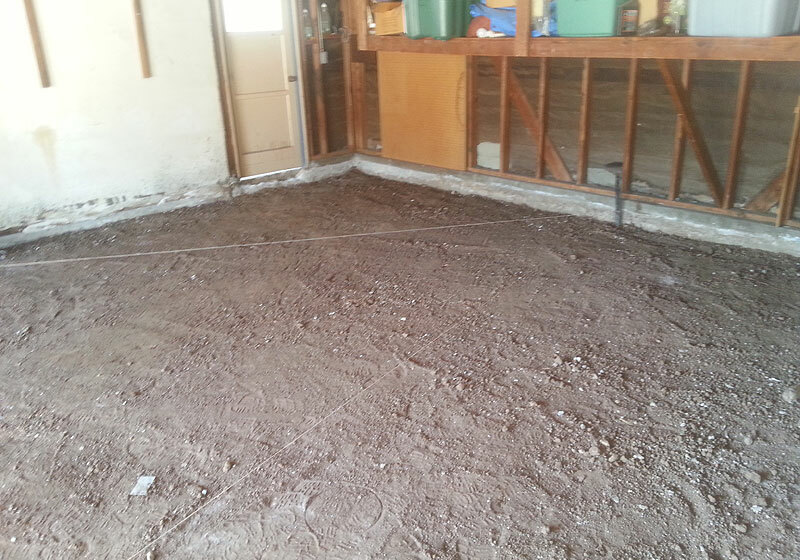 We increased the thickness of the concrete floor in this storage area by pouring an additional 2-3 inches of concrete on top of the existing floor. For large surface areas, JNS Concrete uses a mechanical float to compresses the cement and gravel to ensure a smooth surface. We installed and finished this 2,000 sq. ft. industrial concrete floor in Anaheim, CA. 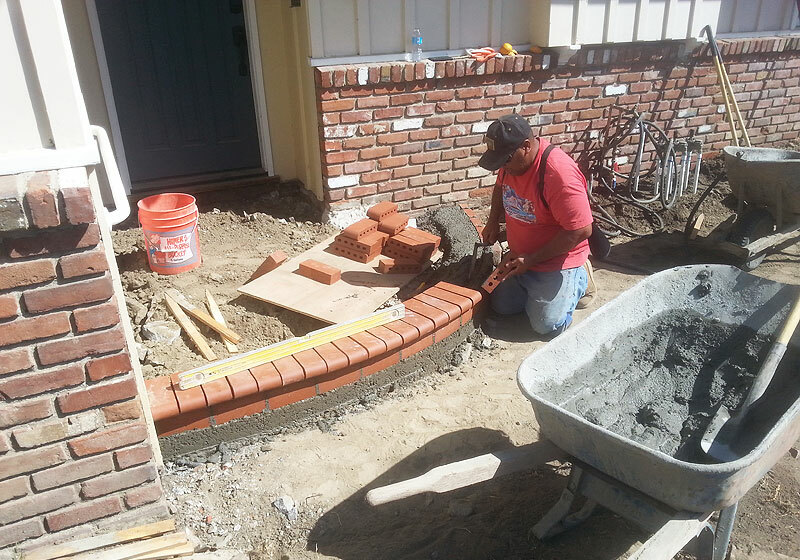 JNS Concrete is Huntington Beach's trusted residential concrete contractor. 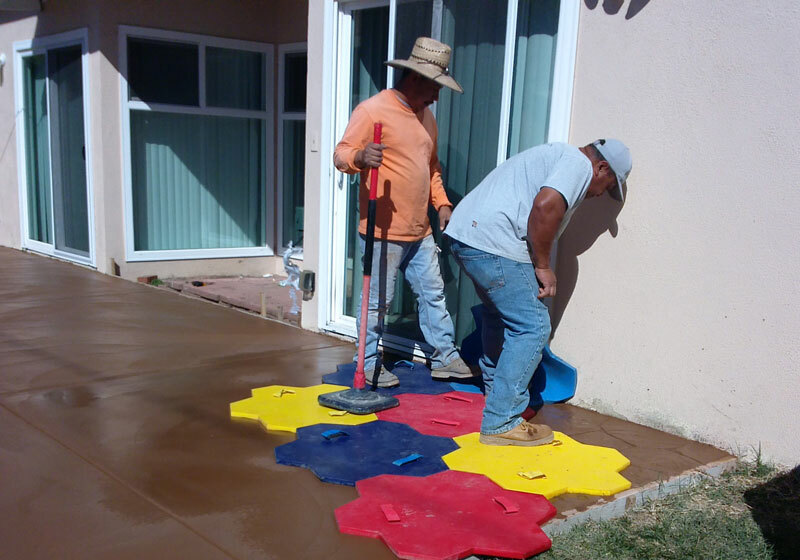 After pouring the new concrete for this residential driveway, we ensure that the concrete is evenly distributed creating a smooth, flat concrete surface. This residential concrete driveway in Huntington Beach, CA features a unique diamond cut pattern. These expansion joints are cut into the concrete to help prevent cracking as concrete shifts over time. 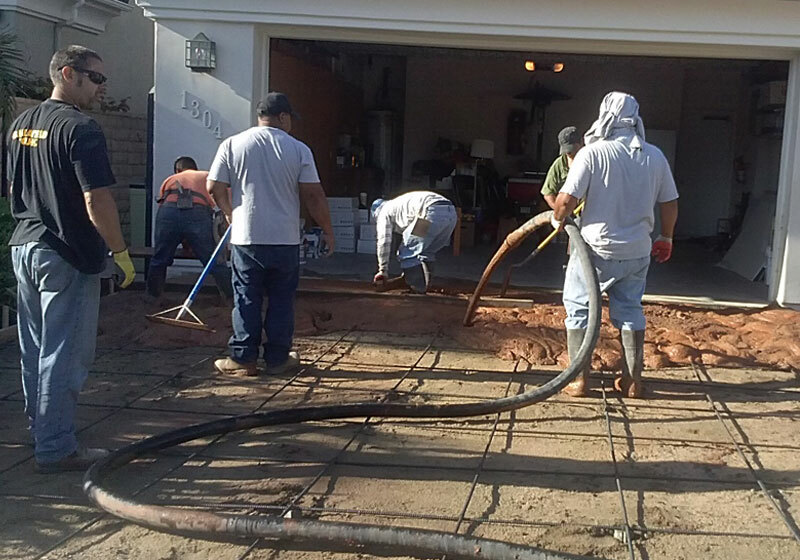 After the rebar is set in place, the crew begins pumping the fresh concrete to lay the new driveway. The pump connects directly to our concrete mixer and allows the operator to control the distribution of concrete across the driveway surface. 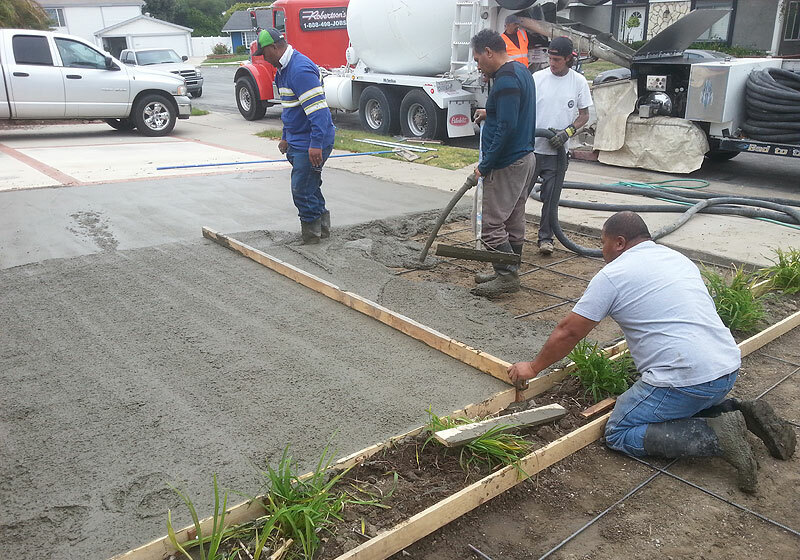 Once the concrete has been poured, the crew begins screeding the driveway to create a level surface. This Manhattan Beach home will have a level, undamaged concrete driveway that will last for years to come, thanks to JNS Concrete. 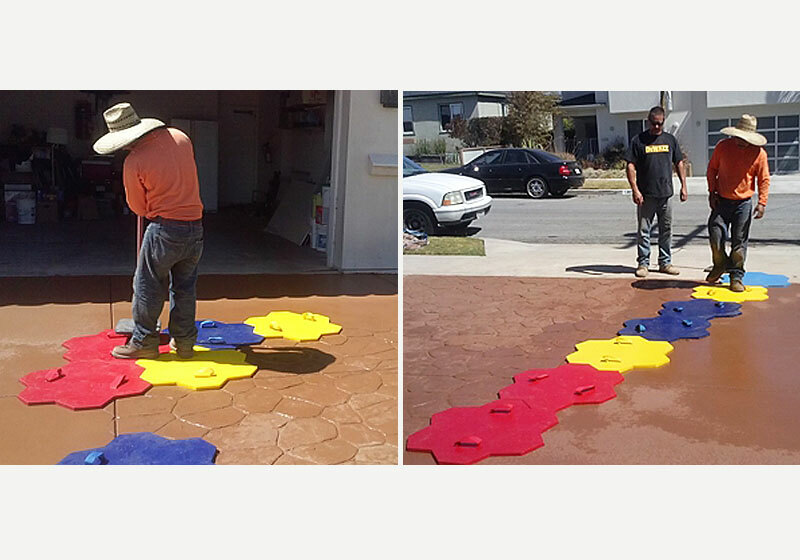 The JNS Concrete crew work on stamping a decorative pattern into this freshly laid concrete patio in Fullerton, CA. Our client selected a Salmon-colored concrete and a random stone pattern, a popular choice among homeowners. 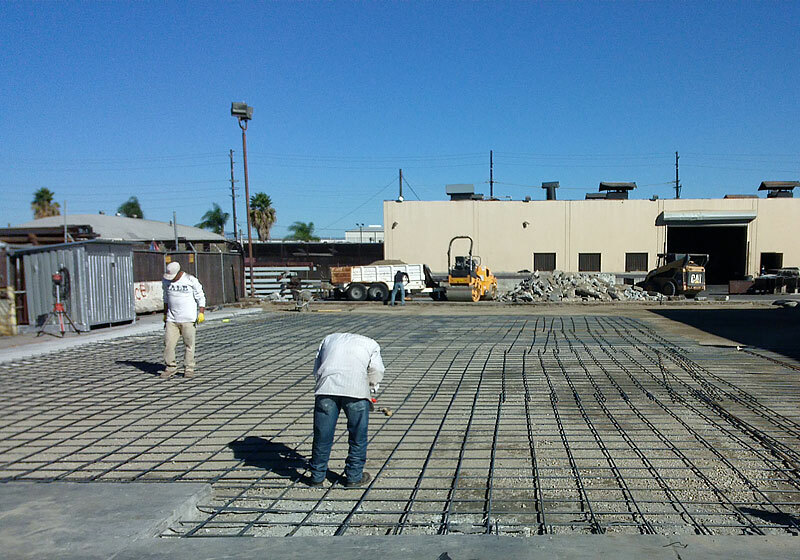 JNS Concrete laid this massive rebar grid in preparation for pouring a 6,000 square foot commercial concrete driveway in Anaheim, CA. The concrete surface is 8-inches thick to support the daily traffic of heavy vehicles & equipment at this steel fabrication plant. JNS Concrete is the best value in residential garage floor replacement in Brea and surrounding cities. After removing the old concrete, prepping the surface, and laying the rebar, this garage floor is finally ready for new concrete. 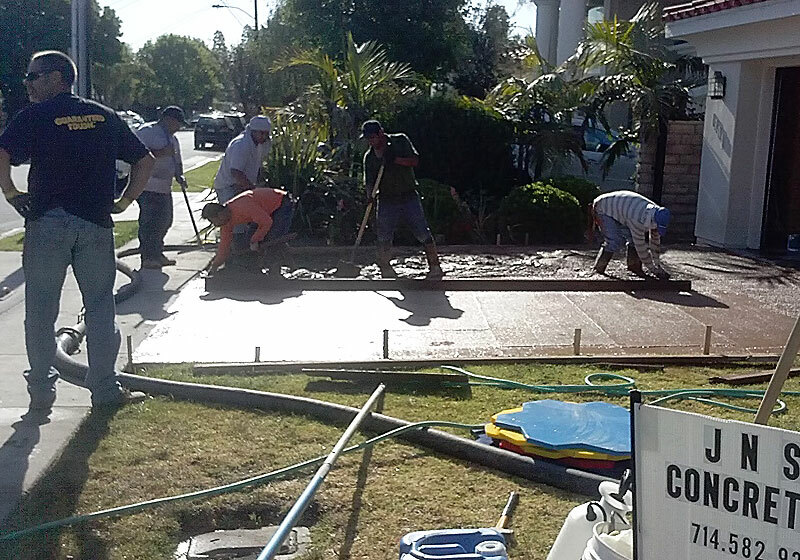 We installed a new decorative concrete driveway for this Huntington Beach residence. The underlying dirt is graded and leveled to create a smooth surface with proper sloping for water drainage. After prepping the surface, we install the steel rebar for structural support. 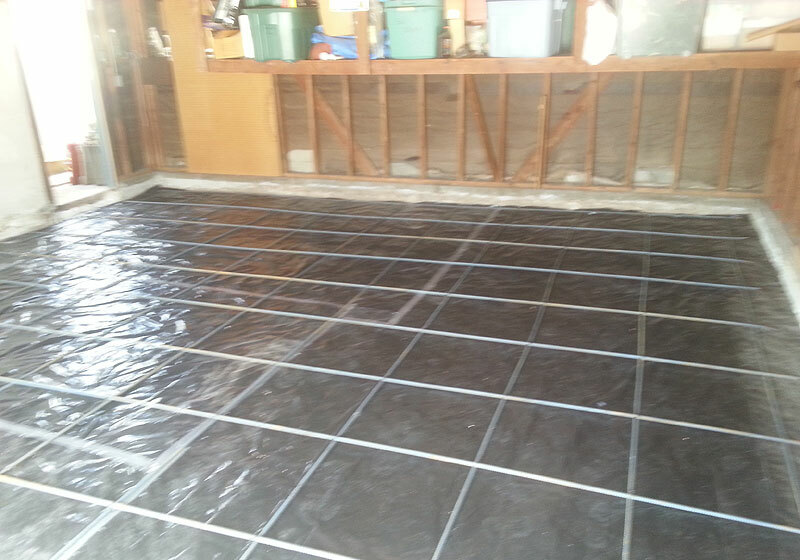 We completed this concrete garage floor replacement in Brea, CA. The existing garage floor was damaged by tree roots lifting the concrete slab. After removing the old concrete, we graded and leveled the dirt in preparation for the new concrete. 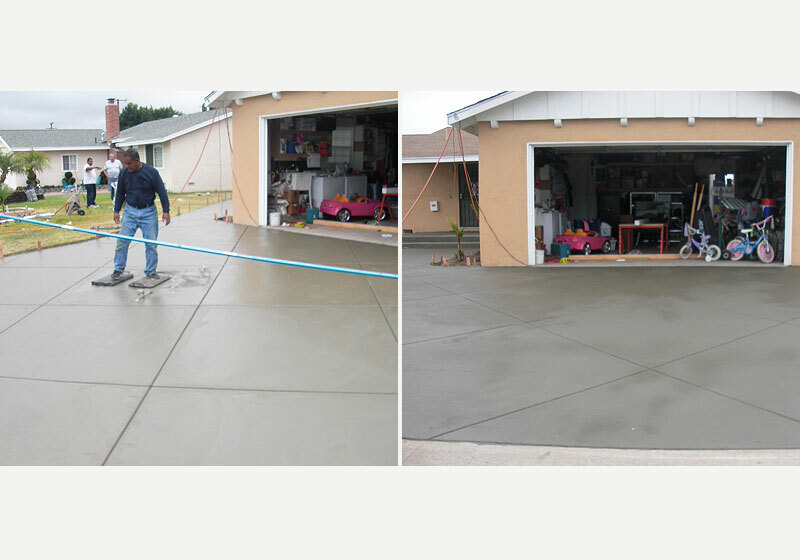 JNS Concrete provides excellent results for residential garage floor repair and replacement throughout Orange County. 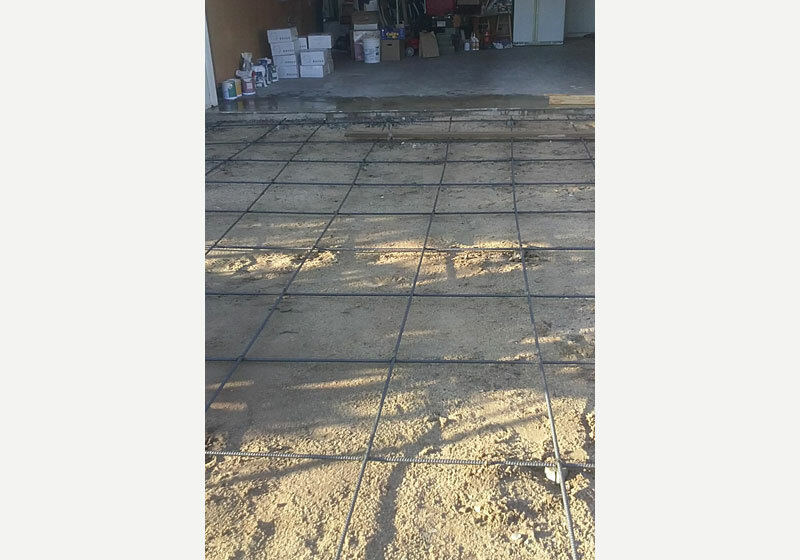 After removing the old concrete slab from this residential garage in Brea, CA, we installed rebar on top of a visqueen moisture barrier. 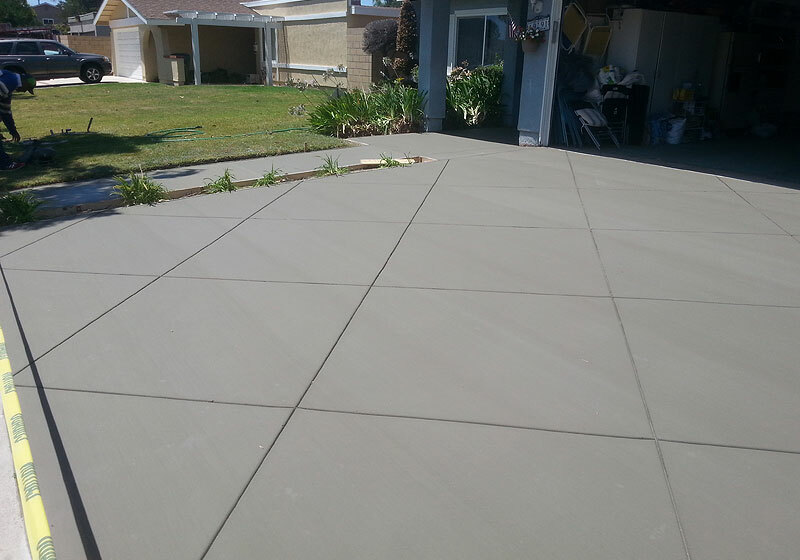 JNS Concrete installed this new concrete driveway in Orange, CA. We replaced the old broken driveway with brand new concrete and a decorative brick border creating a beautiful driveway for this home. 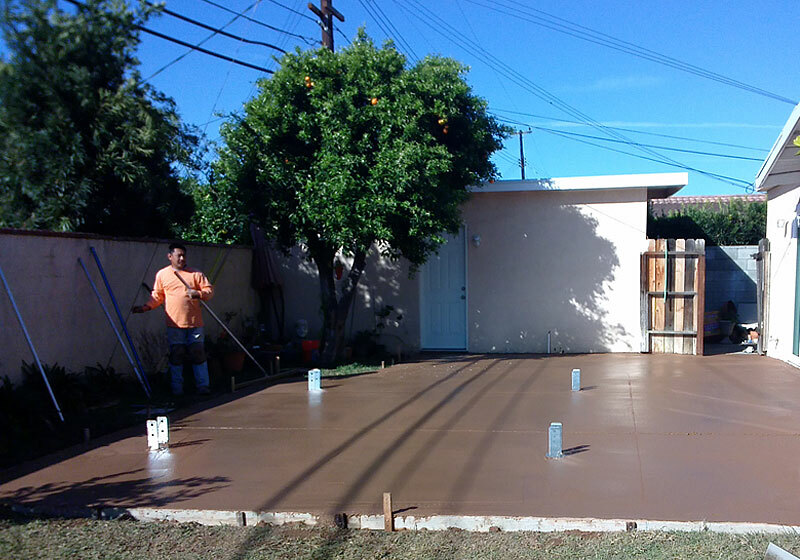 We created this concrete patio for a Fullerton, CA residence. This home did not have an existing patio so we removed the yard's grass and dirt, leveled and graded for proper drainage, and poured fresh concrete to create this brand new Salmon-colored concrete patio. We also installed four metal posts into the concrete to retrofit the patio for a wooden patio cover. 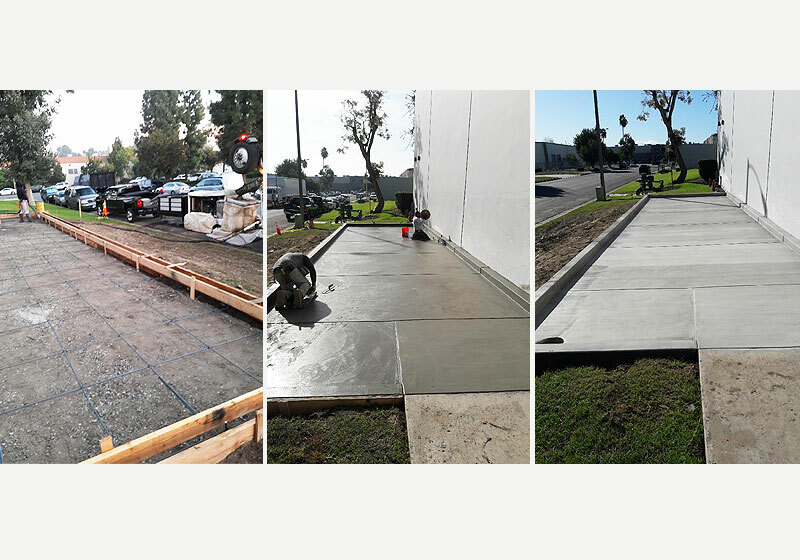 The crew at JNS Concrete worked through the night to complete this commercial concrete driveway in Anaheim, CA. 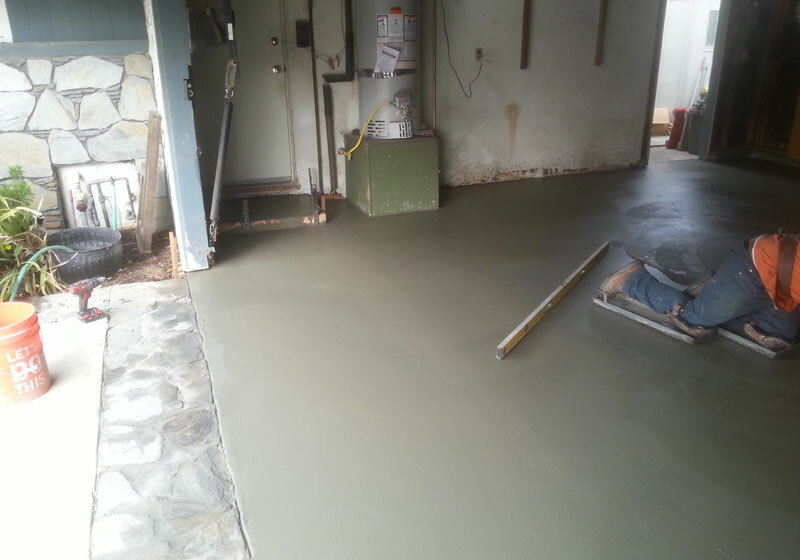 After laying the rebar, we poured the fresh concrete and screed the new driveway surface using a screeding board to create a smooth and durable finish. 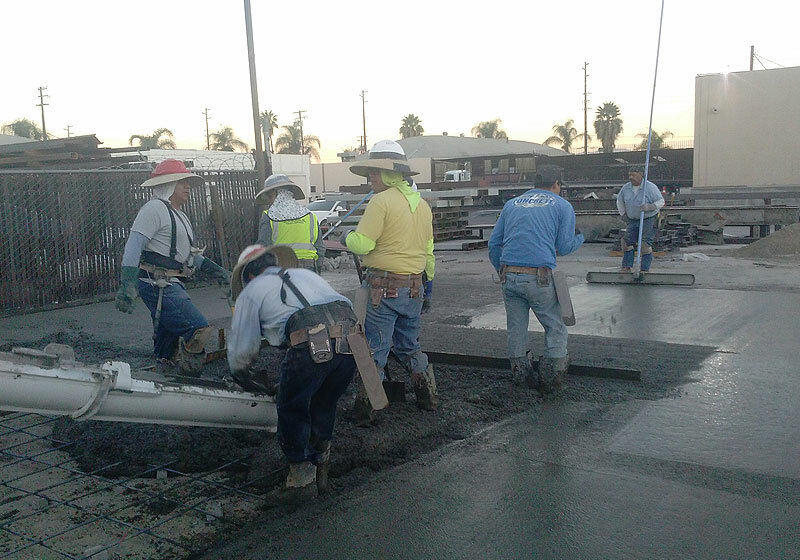 JNS Concrete is Anaheim’s trusted commercial concrete contractor. We installed this 6,000 sq. 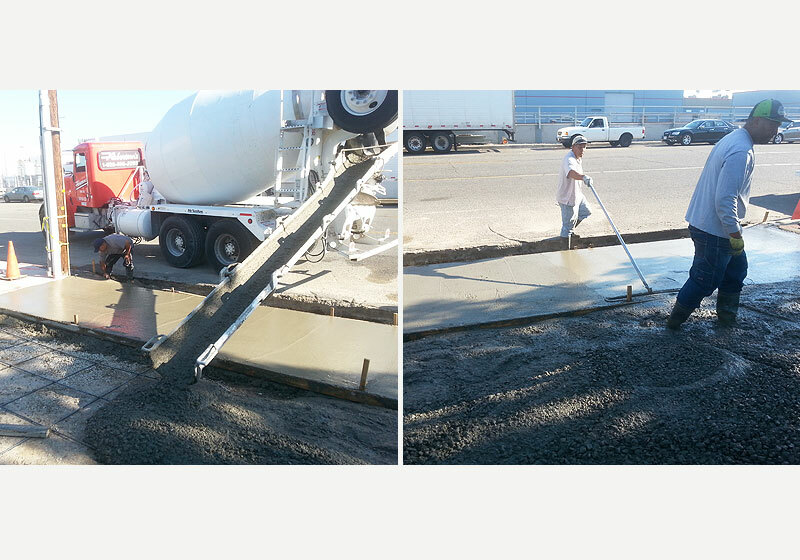 ft. concrete driveway creating an 8-inch thick surface that supports daily traffic from heavy vehicles and equipment. 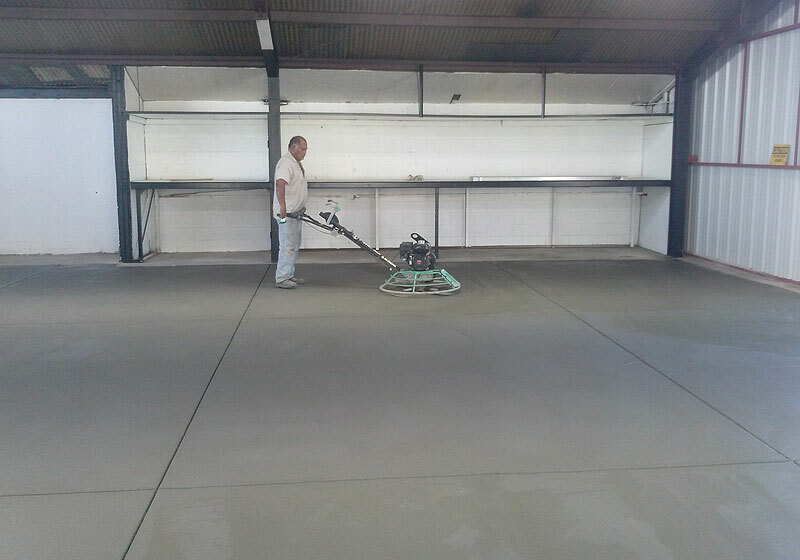 We provide free estimates on commercial concrete projects of all sizes. 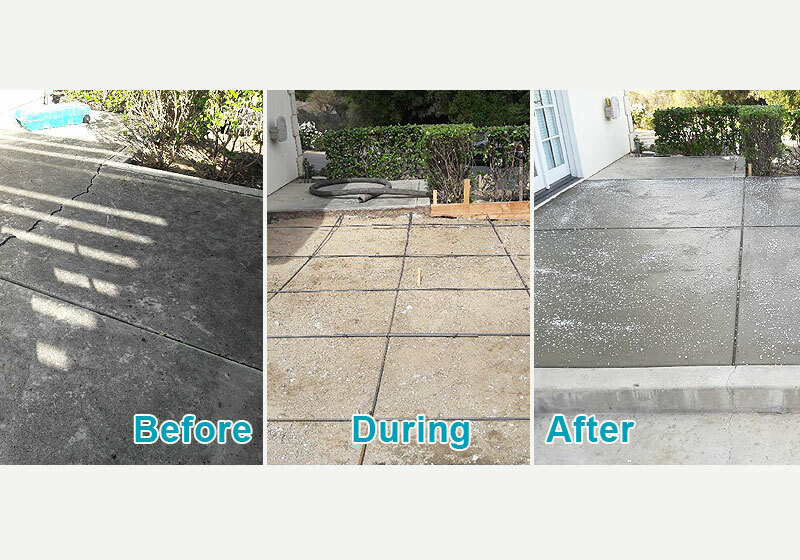 JNS Concrete replaced an old, cracked, and deteriorated driveway with a brand new concrete driveway for this Manhattan Beach residence. The old driveway had large open cracks and uneven concrete. We removed the existing driveway and then laid out the rebar according to code for structural integrity before pouring the new concrete. 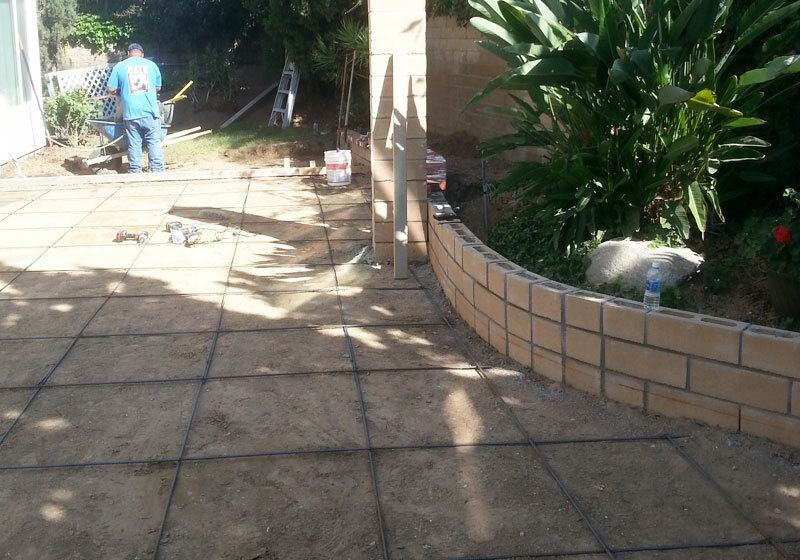 JNS Concrete installed this decorative concrete sidewalk leading around this Manhattan Beach home to it's backyard. This stamped salmon color concrete creates a seamless look with this home's driveway. We worked with our customer's design preferences to create a concrete driveway and sidewalk that complement the look of their home. 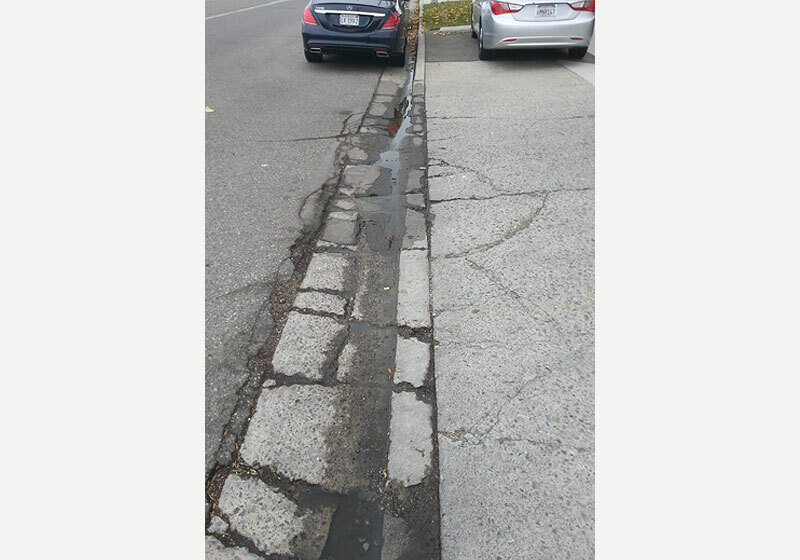 Here we can see the damage to the concrete before JNS Concrete began demolition in preparation for this driveway repair in Fullerton, CA. We specialize in commercial concrete repair including driveways, sidewalks, warehouse floors, and more. This commercial client in Fullerton needed a new concrete floor for refrigerator units that would be placed outside their factory. First we prepped the site and laid rebar, then poured the concrete and gave it a smooth trowel finish. The final step involved letting the concrete set and carefully removing the forms. JNS Concrete repaired and poured a new concrete patio for this Murrieta residence. 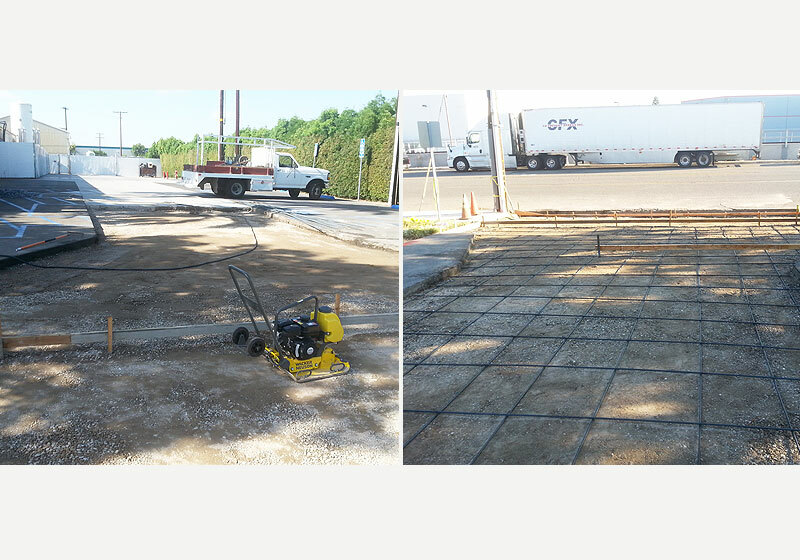 Because the patio had been damaged from tree roots, our crew laid out a new rebar grid before the concrete pour. We then completed the project with a "salt" finish to match the existing patio. JNS Concrete provides the best value for commercial concrete work throughout Orange County and the Temecula area. This concrete trench was built to protect electrical cables, but the trench was too wide causing the cover plate to collapse exposing these important cables. 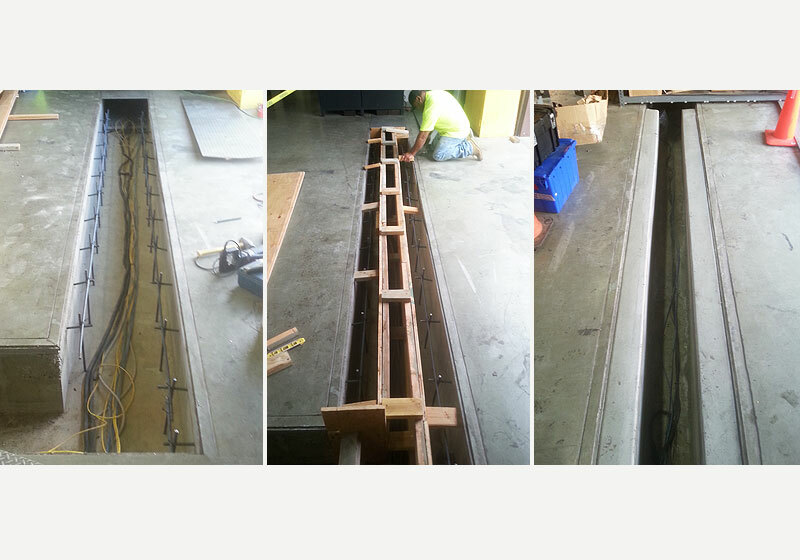 To solve this problem, we poured new concrete walls to create a more narrow trench opening. We removed the existing driveway and sidewalk to the front entry of this Buena Park home and replaced them with new decorative cement. The scored lines create a diamond design and a seamless look from the driveway up to the home's front door including the curved concrete steps that lead to the door. We installed this decorative stamped concrete driveway in Manhattan Beach, CA. Our customer selected this salmon color and random stone pattern to add a beautiful touch of curb appeal to the front of their home. JNS Concrete specializes in customized concrete driveways, walkways, entryways, patios, and more. 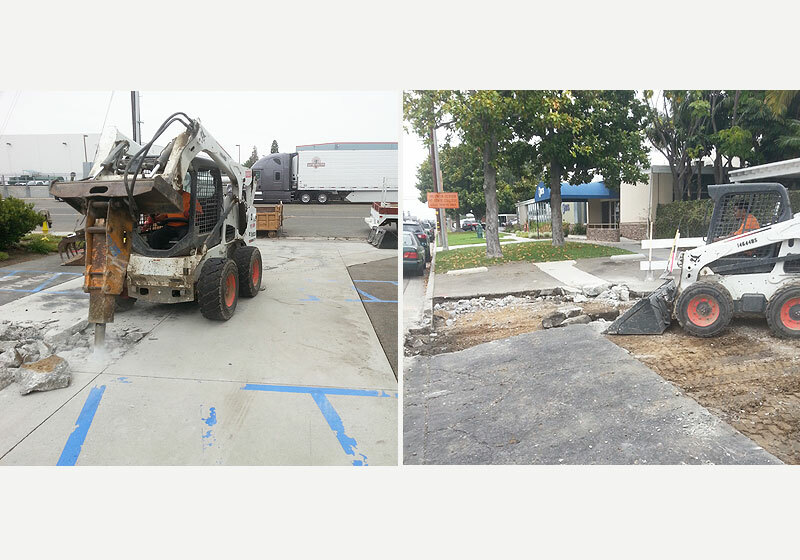 We used a Bobcat Compact Excavator for demolition in preparation for a complete driveway and crossing repair at this Fullerton, CA commercial location. We then used a Bobcat Loader to remove the old concrete from the existing driveway. 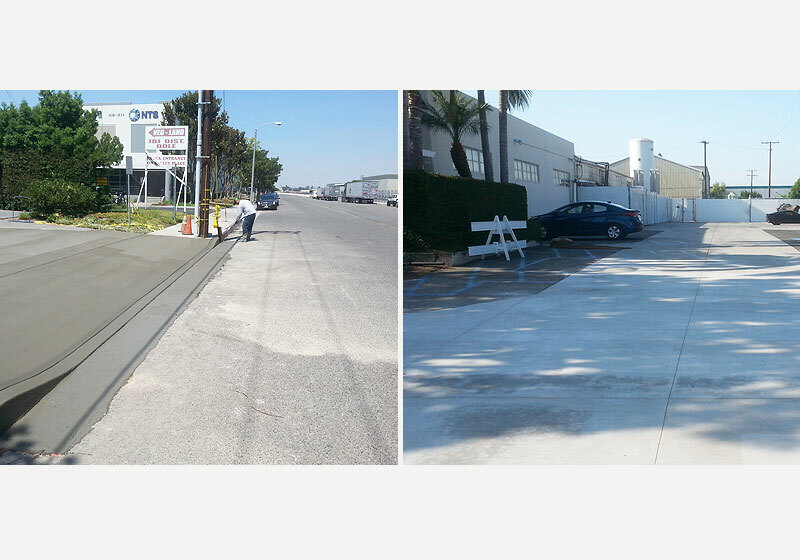 We completed this commercial concrete driveway repair by pouring fresh concrete and smoothing the surface. Our exceptional results and competitive rates have earned us a reputation as the best value in commercial concrete repair in Orange County. JNS Concrete provide expert services for commercial concrete repair in Fullerton and nearby cities. 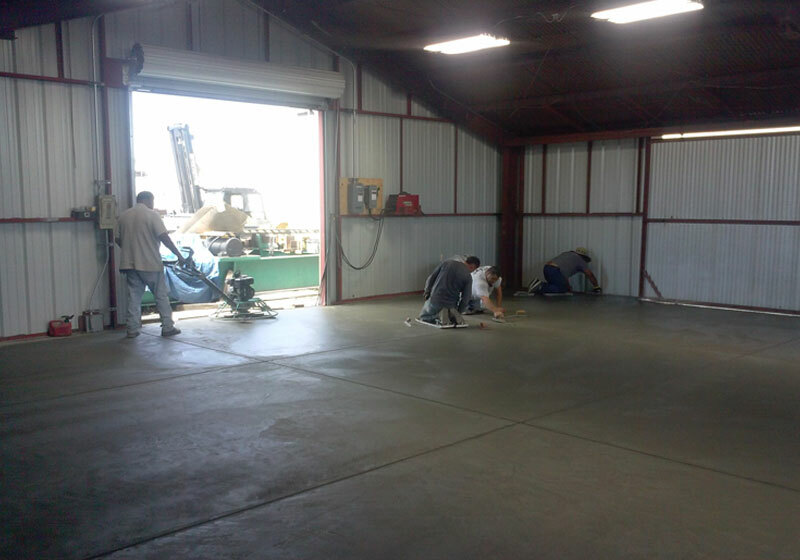 Before laying any new concrete, we compact the underlying ground in order to properly grade and level the surface. 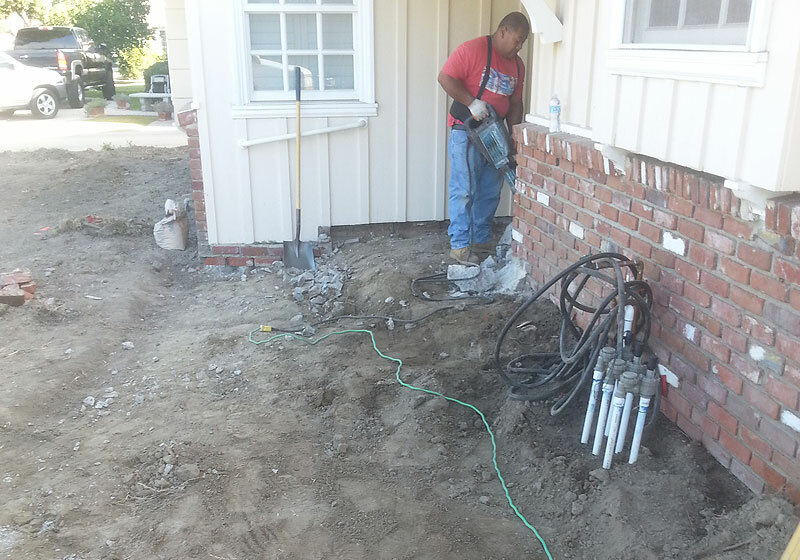 Then, we install rebar for structural support to provide reliable, long-lasting results. 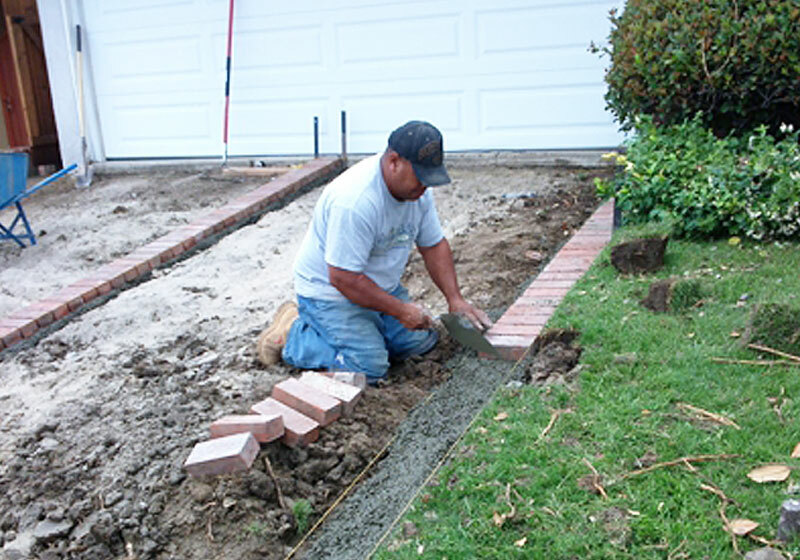 JNS Concrete is Fullerton's trusted commercial concrete contractor. We removed the existing broken driveway and crossing, and replaced it with a new, structurally sound concrete driveway. We built this stepped planter wall for a Yorba Linda, CA home. Our custom-built block wall follows this home's red brick steps creating a beautiful entryway that keeps the dirt from spilling onto the steps. 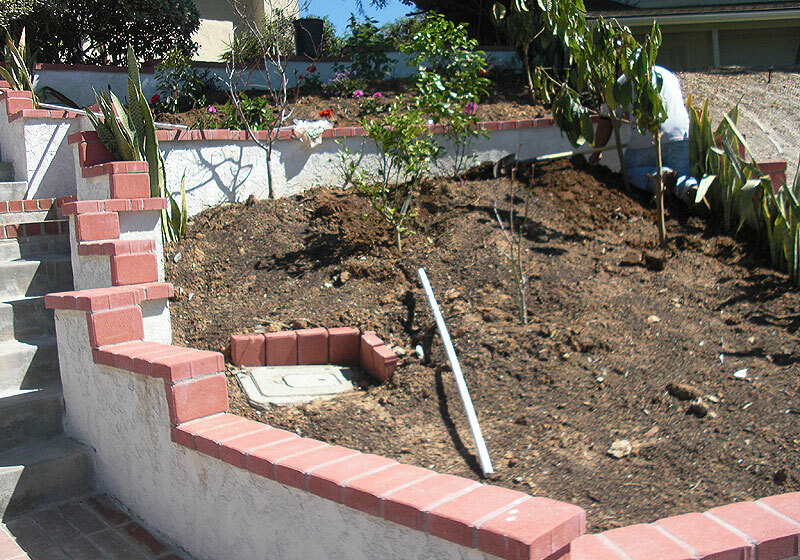 We custom built a stepped block wall to create an enclosed planter area for the front of this Yorba Linda home. The planter wall features red brick tops to match the aesthetic of the home's entryway. This block wall in Yorba Linda was given a stucco finish and capped with a brick layer to create a beautiful walkway up to the front door. In addition, we put in new sprinkler pipes for improved irrigation and watering of plants. 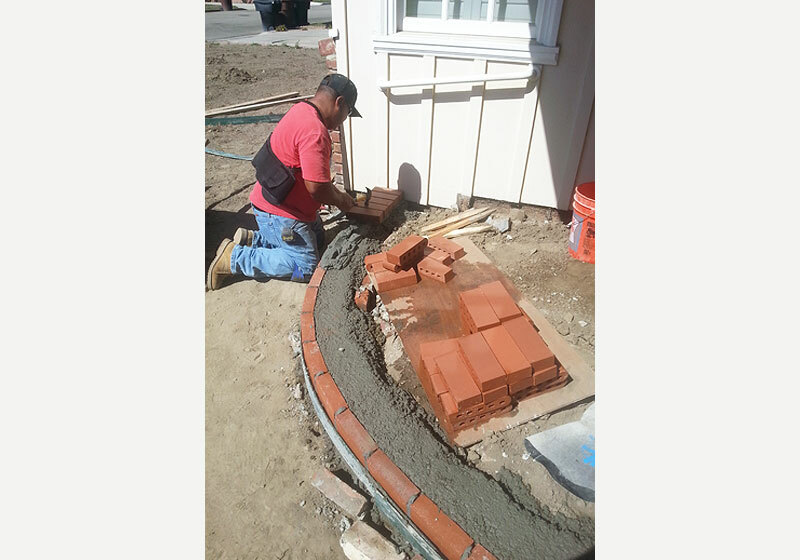 We laid a decorative brick border for this residential concrete driveway in Orange, CA. 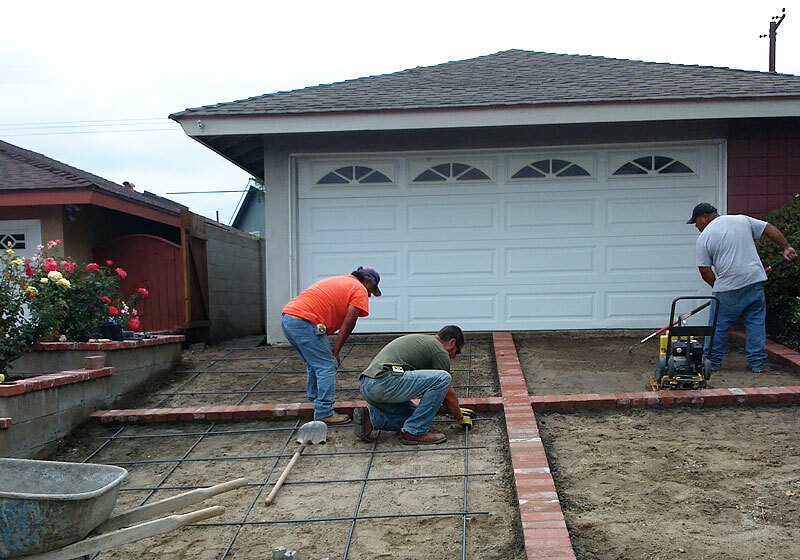 Once the bricks have been laid, the crew lays rebar in each section of the driveway in preparation for the concrete. JNS Concrete built two block walls for this Yorba Linda home creating terraces rather than one long dirt slope. This not only makes it easier to walk across, but opens many opportunities for planting and gardening. 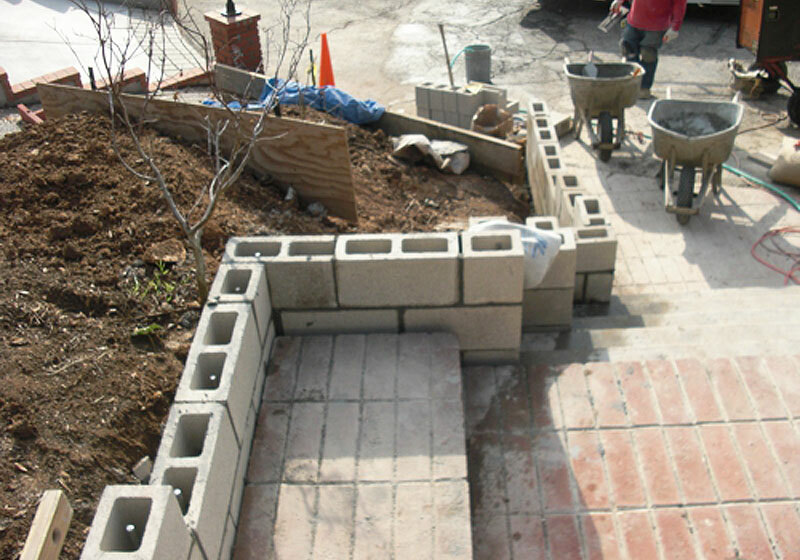 We custom build block walls, planter walls, and retaining walls to bring our client's vision to life. The red brick on this front step matches beautifully with the home's existing brick accents. The bullnose feature creates a rounded and smooth step leading up this front stoop. 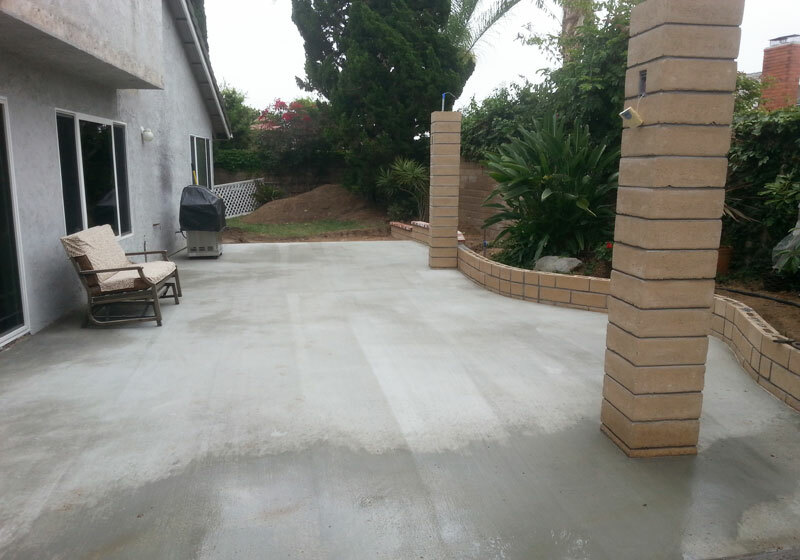 We provide exceptional results on residential concrete projects throughout Orange County and the Temecula area. 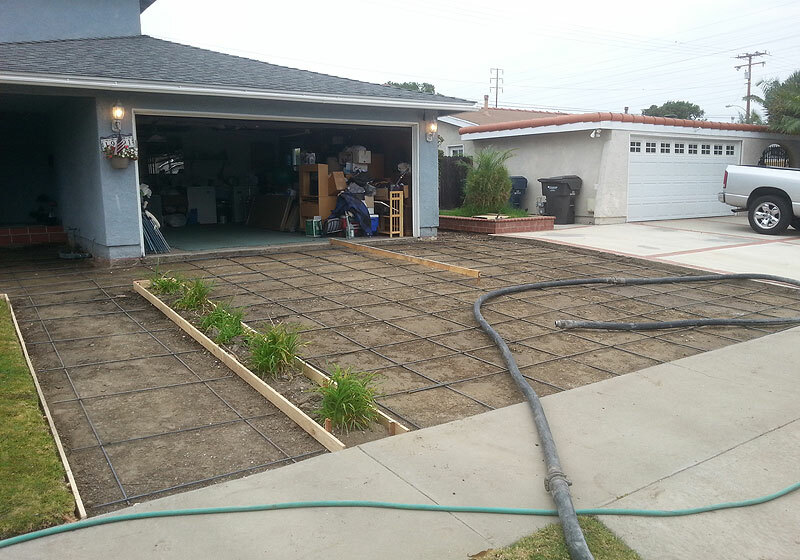 We installed a new concrete driveway for this Orange, CA residence. The driveway features a decorative brick border enhancing the look of this home's driveway. 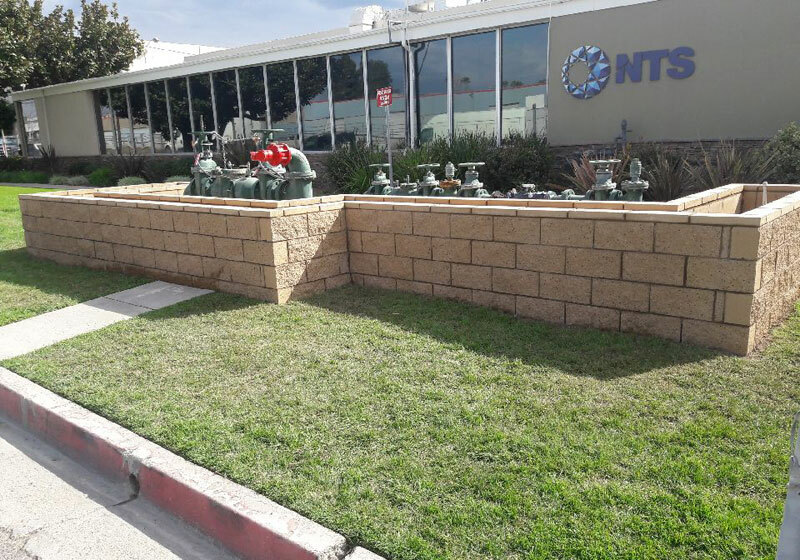 JNS Concrete designed and installed this block wall in Fullerton. It creates an attractive concrete planter box that increases the curb appeal of the client’s factory. We created this custom concrete patio for a Brea, CA residence. The patio features a brand new concrete surface, a block planter wall, and two block columns that will support a patio cover, creating the ideal outdoor living space for this home. When you hire JNS Concrete, you always get professional, long-lasting results. After grading the yard to create a flat surface, we installed rebar for structural integrity before pouring the new concrete. When installing a new concrete surface, we always prep the area to ensure proper grading and leveling before any concrete is poured. We prepared this residential entryway for a new concrete step that leads to the home's front door. All of our work is customized to meet our client's functional and design preferences. We created this front stoop with a bullnose red brick to create a smooth step leading up to the front of this Orange County home. JNS Concrete is Brea's best choice for new concrete patio installation and masonry work. 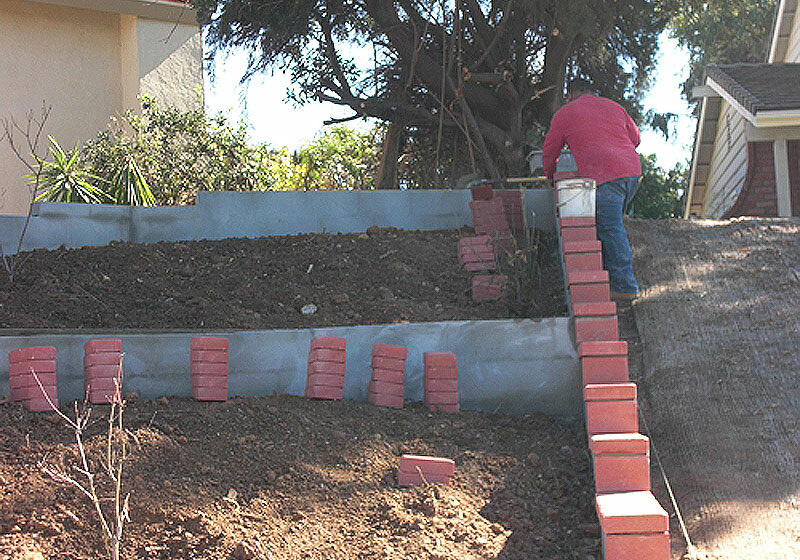 This photo shows the grading process to prepare the yard for a new concrete patio. We also installed a custom-built block wall to create a nice planter space along the perimeter of the yard. 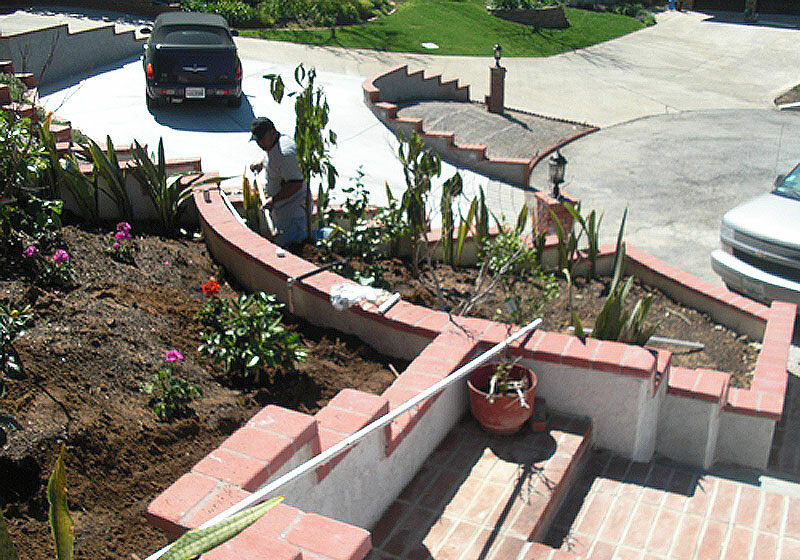 JNS Concrete designed and installed this retaining wall in Fullerton, CA. 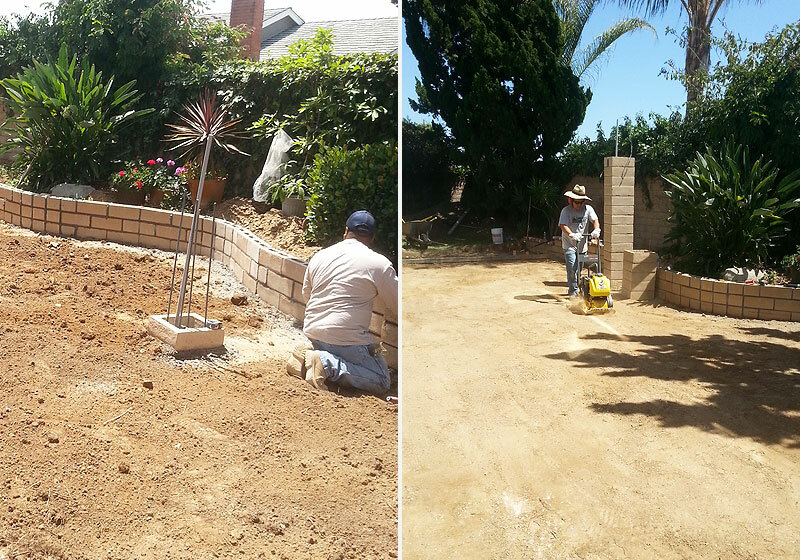 We removed the dirt slope to extend the existing driveway, laid rebar according to code, and used 8 inch cement blocks to create a retaining wall at the property line. 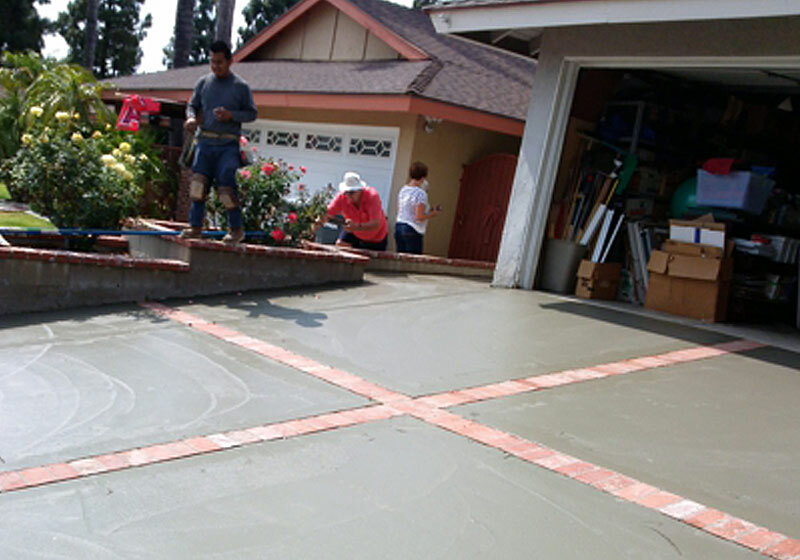 Once the wall was finished, we poured new concrete to complete the driveway extension. Jonathan and James built me a patio as well as planters lined with colored bricks and stucco for my backyard. It turned out beautiful. Throughout the process, Jonathan answered my questions and listened to my concerns. He shared his experience and knowledge from previous jobs . . .